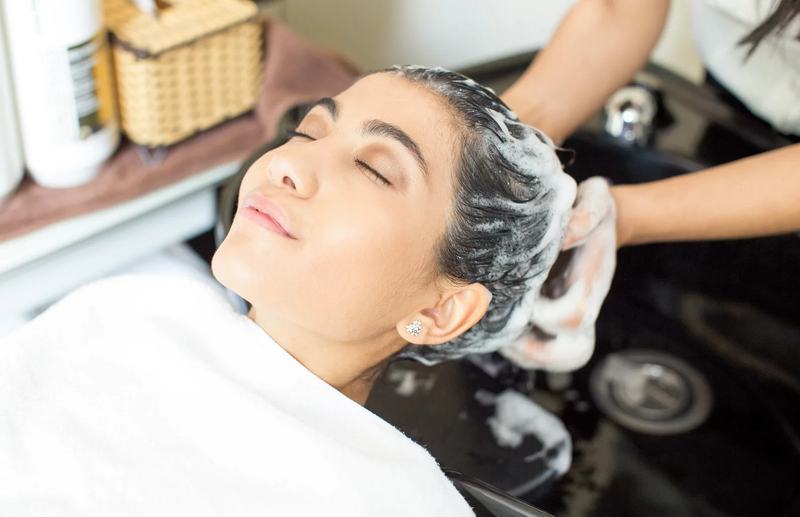 Hair care during summer is not a tedious exercise if you do the basics right.Learn how to protect your hair from the heat, sun, and humidity without turning it into an endless battle. Here are some simple tips for the hair care during summer. Covering the hair helps your scalp to retain moisture. It also provides extra UV protection. It reduces damage caused by wind. Use a scarf or hat to cover your head when you’re out in the sun. It minimizes the exposure to the sun. Tight hairstyles can be damaging because they tend to pull and tear hair. Put your hair up in loose in comfortable styles. Frequent washing strips your scalp of its natural oils . Try just rinsing in the shower. Dab a cotton ball soaked in witch hazel along your scalp to dissolve excess oil. Use a homemade or natural dry shampoo in place of regular shampoo to go a bit longer without washing. Try to blow-dry your hair as little as possible. Give the blow dryer a break and go natural if you can. Wide-tooth combs are most gentle for untangling hair, as brushes can pull and tear when they snag strands. Use a wide-tooth comb instead of a brush. Keep your hair happy and healthy all summer long using these natural, chemical-free methods.